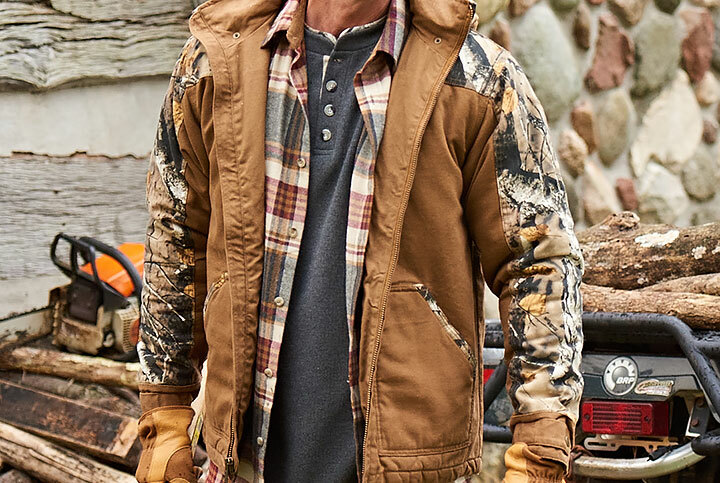 Men's Big Game Canvas Cross Trail Workwear Jacket is rated 4.7 out of 5 by 955. 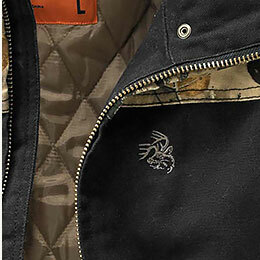 Go ahead, treat it rough--this workwear jacket can take it thanks to the heavy duty canvas exterior. 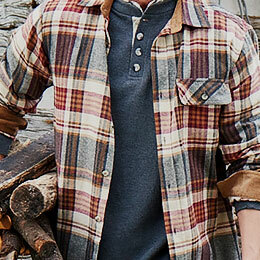 Sanded for a softer feel, there's no better fabric for your hard-working lifestyle. You can't see it...but you CAN feel it. 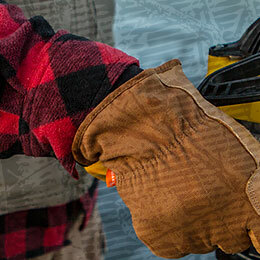 210 gram insulation combats the cold with ease, trapping more of your body heat and keeping your core warmer so you can focus on the job at hand. Built tough to work hard and play even harder! Stay warm and dry with the heavy duty water repellent 10 oz. sanded canvas that's washed down for a comfortable fit right off the bat. 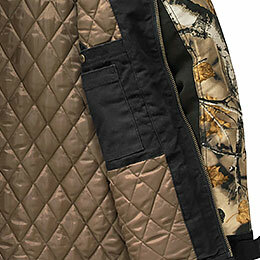 Features plenty of hollow fill insulation, heavy duty zipper with storm flap, double interior pocket, and zip-off hood. 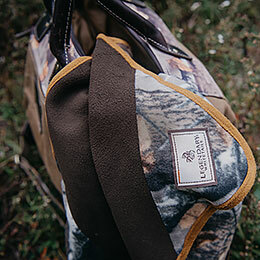 High definition Big Game Camo® accents and embroidered Signature Buck logo. Rated 5 out of 5 by Bigmooch from Best jacket ever owned in the $100 range. Bought this jacket almost a year ago and it has yet to rip or tear. 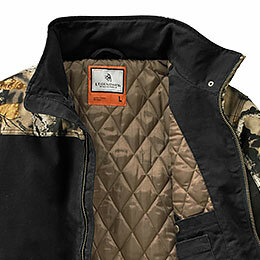 The exterior is almost like my Carhartt just a little thinner. Holds well in winter winds and -20 degree weather with a hoodie on. Pockets inside and out are great and has yet to rip which I thought by now would have been the first thing to go. Adjustable cuffs are nice for winter activities dealing with snow. All and all stylish, comfortable, durable and weather proof. Could be a $150-200 jacket and I wouldn't have guessed it to be around $100. Rated 5 out of 5 by BlkPwdr Jim from Blizzard Proof Been wanting this jacket for quite some time. Finally bought it when it was on sale. Got it just in time for Winter Storm Ulmer here in Western Nebraska with blizzard condition and 30 mph wind gust 62 mph. I was outside dealing with the snow for about 30-45 minutes and not once did I feel the wind or the cold. I will cherish this coat for years to come. 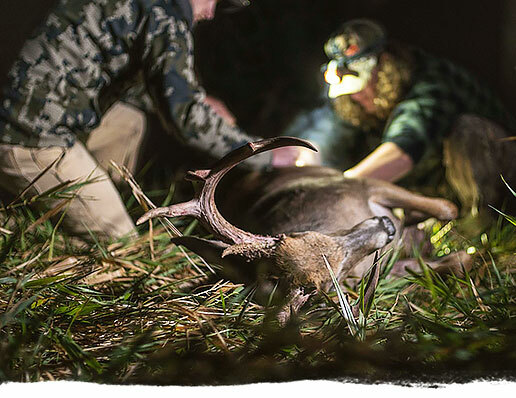 Thank Legendary Whitetail for such a good jacket. I would even buy it for the regular price for what it worth. Rated 5 out of 5 by Doggers r us from Husband's go to jacket! Gave as Xmas gift to hubby, his go to jacket this winter. Nice spot to put our company logo on the front too! Are the big game canvas cross trail workwear jackets fitting true to size? Like is the XL fitting like a USA XL or like a China XL? Because there is a difference? 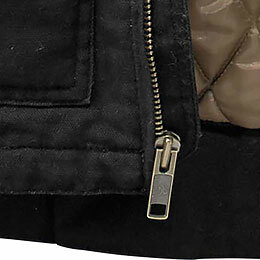 are the zippers made out of metal? The hood is insulated as well. how many grams of insulation is in this jacket??? 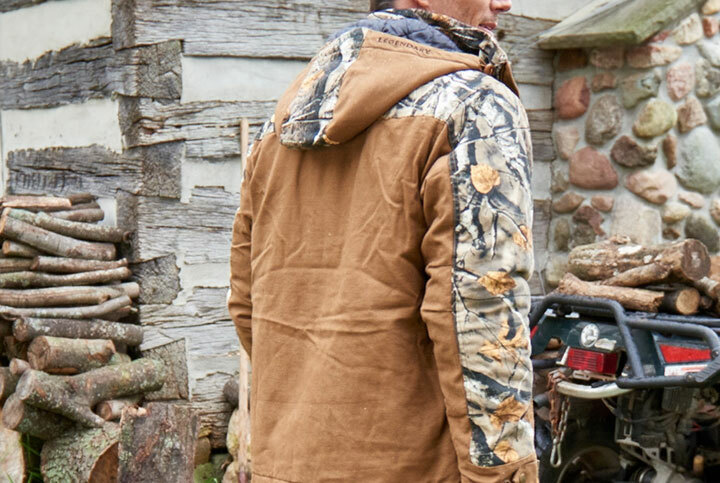 This jacket features a full 210 grams of insulation.